Xinjiang’s first high speed rail is officially put into practice. 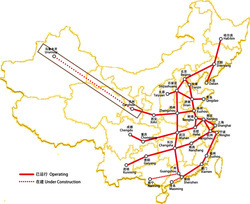 The new high speed rail will serve for passengers, which will free up the capacity for goods transportation of the original Lanxin Ordinary Rail. This will be conducive to breaking the bottleneck of transporting minerals, cotton, melon and fruit in Xinjiang. 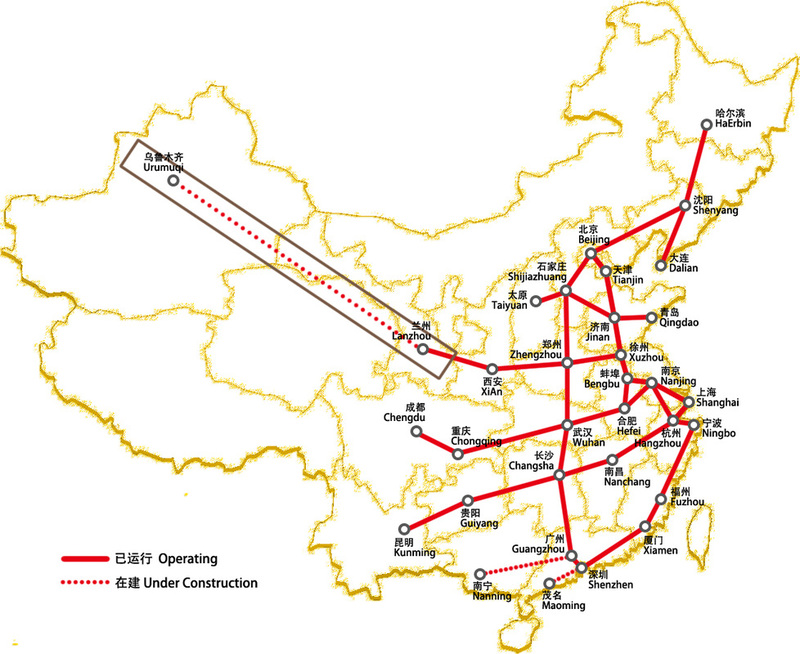 The travel time from Urumqi to Lanzhou will be cut from 16 hours to 8 hours, according to Mr Liu Xinle, the director of Urumqi Railway Bureau.